Update: the following article remain valid for the RTM (release to Manufacturer) version of Windows* 10. In the days following the release of July 29th some little issues has raised relating to the return from Standby where the camera was not restarted correctly and the recognition function don't work. The solution is in the updated version of DCM (rel 1.4.27.41944 ) that you can find in IDZ site or directly in download center. The new package contains updated firmware for F200 camera and new driver in order to solve the issue. Just one more thing, keep attention if you are using also the Realsense SDK on your PC because after the DCM update you need to refer the Realsense App to the device named Realsense 3D Vitual Driver and not the other two (RGB and depth) otherwise the app will crash. Refer to release note of DCM for more on this. One of the cool new features announced for the upcoming WIndows10 is Windows Hello. It's essentially a new way to login in the system with an exclusive face recognition feature that auto log the user when it come in front of its PC. This magic feature is based on a magic technology that tag a face and can recognize it back securely. The recognition is done using two type of camera in cooperation; the first is a classical HD camera and the second is a depth camera (infrared) for 3D an temperature scanning. The system recognize and match a lot of point describing specific target of the face, the eyes, the lips, the nose etc; describing a precise path different for each person and assigning to this array of points a specific and unique tag. When the system come in non-logged state it automatically try to recognize the face coming behind it and matching with the one archived for the local Windows Hello, if a match is done it auto log to the corresponding user profile. 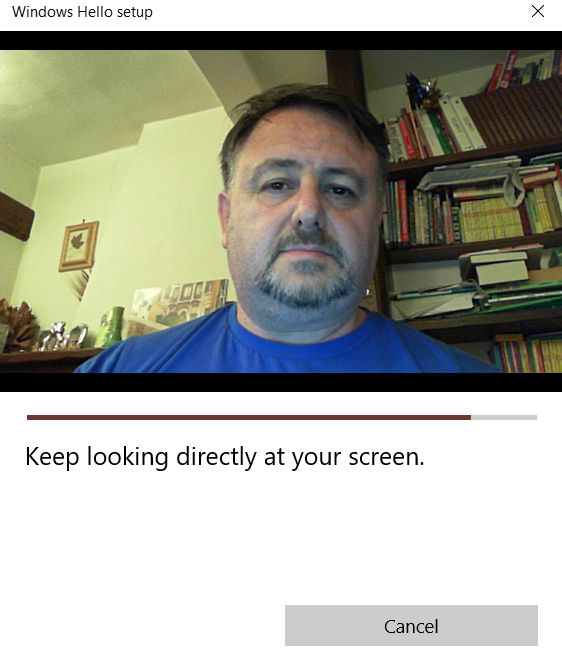 On the Windows10 side the game is done by Passport that log you to the system (using the PIN password) only when the biometric device (in this case the camera) acknowledge the recognition of you face; it works essentially in the same manner on all the device with a fingerprint reader embedded. The system already manage also the retina scan login, but you will obviously need a specific retina scan device. Actually there's only one standalone device certified for Windows hello, the Intel Realsense camera F200. It's a 3D camera part of a Intel Dev Kit Developed by Intel named Realsense SDK: this SDK is a big set o free library to enable feature like Face recognition, face detection, object tracking, gesture recognition, speech synthesys and speech recognition. You can freely download it from this link. Otherwise you need a device with a Realsense camera onboard (click here for a full list). You only need a device running Windows 10 (the Insider Technical preview also). In order to install the new available driver and eventualy update the formware of the camera we need to download and install the "Intel RealSense Depth Camera Manager (DCM)" software from Intel at this link. After the download install and run it, follow instruction to update driver and firmware of the camera. 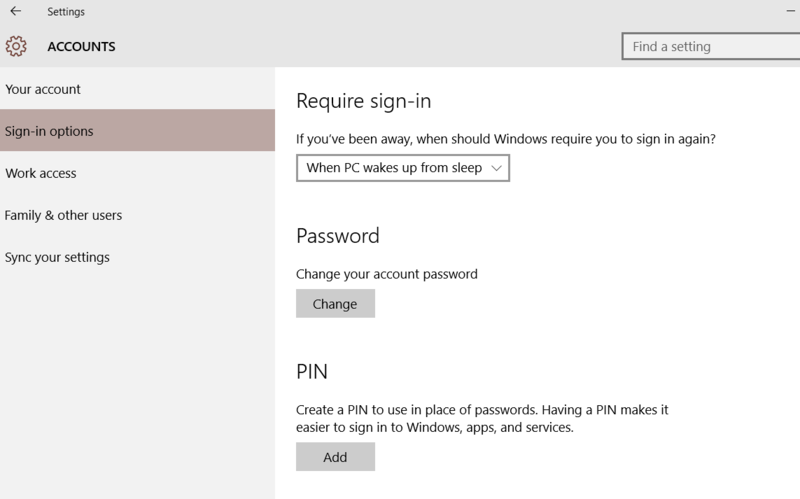 For the next step go to Windows 10 Settings/Accounts/Sign In options and define PIN password. 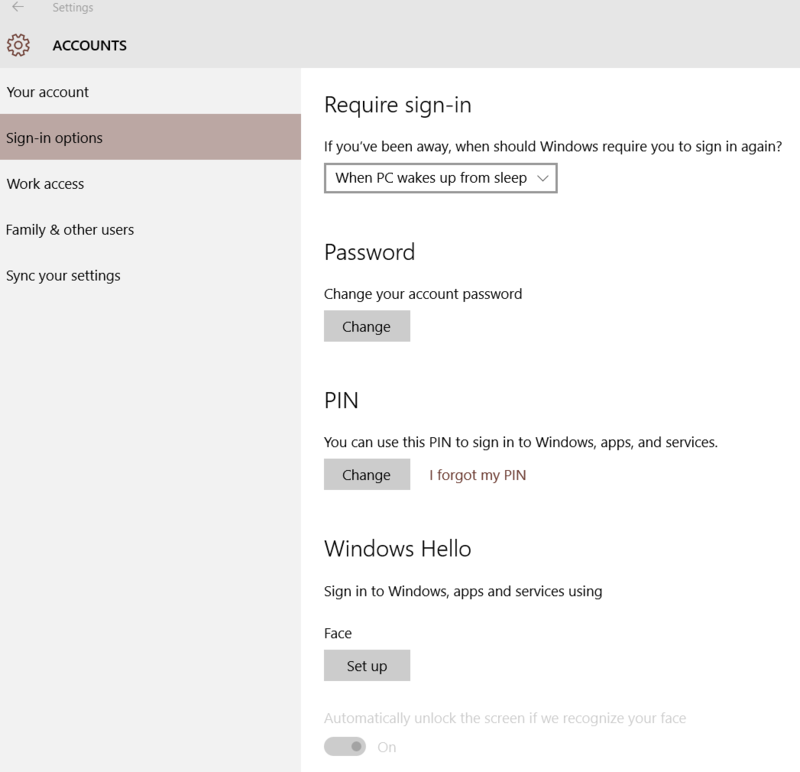 Once defined it close and reopen Settings /Accounts/Sign-in options you'll see also a Windows Hello option! Click on Set Up, press Get Started, the system will ask for you PIN password, enter it and a preview of the image captured from the F200 camera will appear. Once the operation end succesfully the system will show the message AllSet! Close the window and try immediately to sign out from actual session. When the system return to the login page will immediately recognize you (if you are still in front of your PC obviously) and auto login in your profile. work and reporting! Keep up the excellent works guys I've incorporated you guys to blogroll.